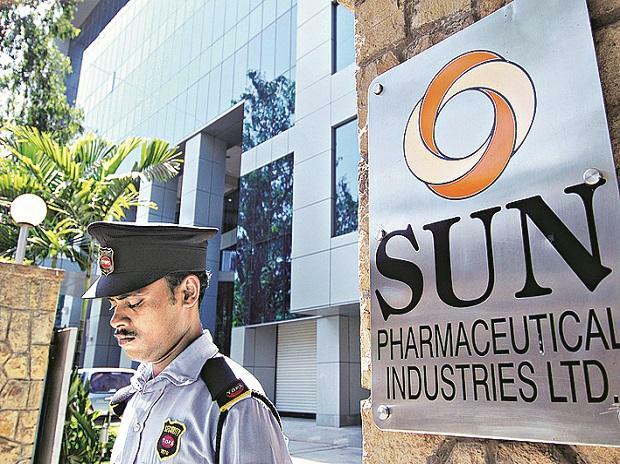 Sun Pharmaceutical Industries Friday asked markets regulator Sebi to look into the issues of certain entities and individuals allegedly adopting unfair trade practices prejudicial to the company's shareholders. Against the backdrop of reports that a second whistleblower complaint has been filed against it and shares taking a beating on the exchanges, Sun Pharma has written to Sebi flagging concerns that certain entities are allegedly adopting unfair trade practices. Shares of Sun Pharma plummeted over 8 per cent that wiped out Rs 8,735 crore from its market valuation. The stock crashed 8.52 per cent to end the day at Rs 390.75 on the BSE. During the day, it dived 12.11 per cent to hit its multi-year low of Rs 375.40. At the National Stock Exchange (NSE), shares of the company plunged 8.51 per cent to close at Rs 390.25 apiece. In a letter to Sebi Chairman Ajay Tyagi, the Mumbai-based drug maker said it has come to know from a media report that a second whistleblower complaint has been filed against the company. "We are concerned that certain entities/individuals are adopting unfair trade practices prejudicial to the interest of shareholders and other stakeholders," the company said in the letter, a copy of which has been submitted to the stock exchanges. In November 2018, a whistleblower approached Sebi with a document alleging various irregularities by the company, its promoter and others. Referring to the latest reports, Sun Pharma said it is evident from the fact that shareholders value has been drastically eroded within a short span of time due to "unsubstantiated complaint/ allegation" against the company and mala fide campaign launched by certain media houses. "We request your office to examine the matter in its entirety, and the role of some media houses and other stakeholders," the drug maker said. According to Sun Pharma, the said whistleblower documents and other confidential e-mails are being offered for inspection to institutional investors by one media house as per the above report, which again the company is not privy to. "In these circumstances, there is a great asymmetry in the information circulating between analysts, investors and media leading to intense speculation. "The availability of information contained in the whistle blower documents to a set of selective investors does put other investors including retail investors in a disadvantageous position," the letter said. Meanwhile, shares of Sun Pharma came under massive selling on Friday, tumbling over 13 per cent, amid reports of fresh allegations by a whistleblower against the company. The scrip after a weak opening further tumbled 12.11 per cent to hit a multi-year low of Rs 375.40 on BSE. At NSE, shares of the company plummeted 13.21 per cent to hit a low of Rs 370.20. The stock was the worst hit among the blue chips on both the key indices during the morning trading session. In terms of equity volume, 38.20 lakh shares of the company were traded on BSE and over 4 crore shares changed hands at NSE during the day. Shares of the company Friday ended 8.52 per cent at Rs 390.75 on BSE.